Traveling for the past few months kept me wondering where to go next with my artwork. Along came India Flint announcing her new endeavor to teach an online class and the title of her new adventure is the School of Nomad Arts — well that certainly describes me – both before and after this RV adventure began. I figured I would not be able to take a class from her anytime soon as traveling to Australia is not in my current travel plans. 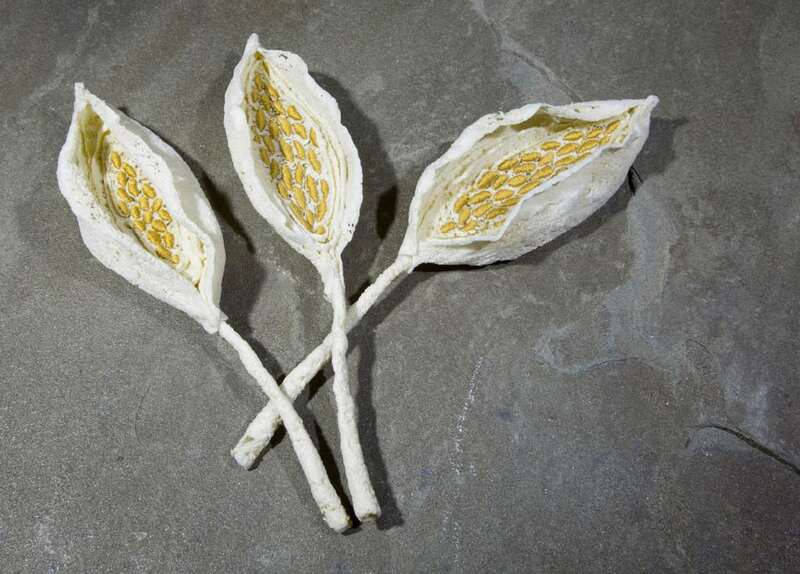 India Flint is well know around the “whirld” (her spelling) for being the creator of botanical eco dyeing — using heat and pressure to print leaves and plant material onto fabric. She makes absolutely wonderful creations. 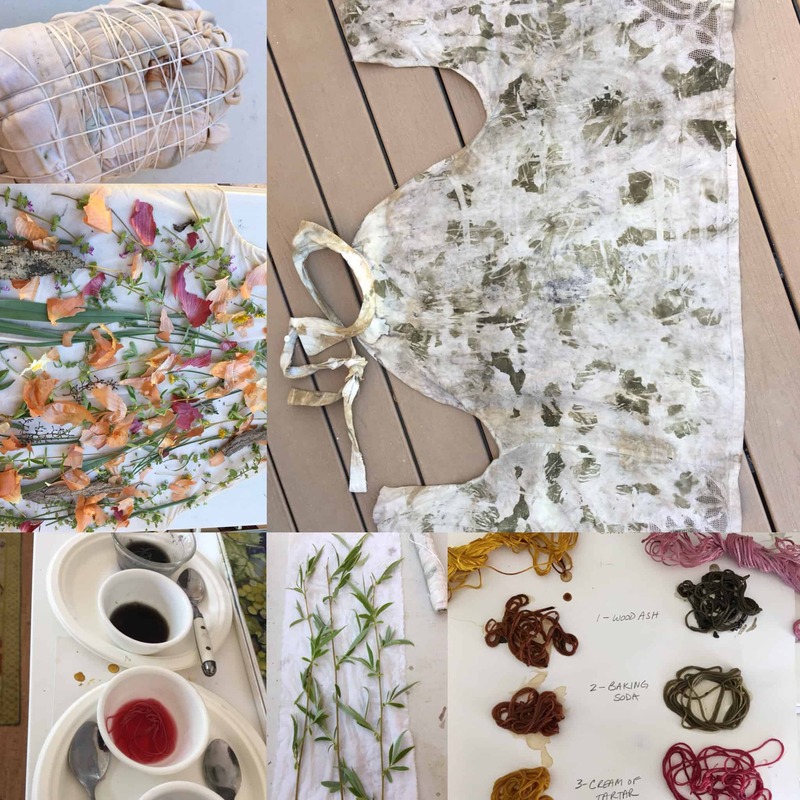 Her first online class is The Alchemist’s Apron – I have always loved her ecodying, printing and construction so I was thrilled to be part of this class. Luckily, we had scheduled a few weeks with a relative of my husband’s who offered us their house while they travelled. We wondered what it would be like to settle down for a few weeks, but the timing could not have been better for me! Out came the camp stove, some second hand store finds, and I started cutting, ripping, stitching and dyeing. Could not be more happy to have had these days of getting back to doing what I absolutely love.